17 renters saved this place. Thank you for your interest in The Falls of Columbia, the right choice for student apartment homes! 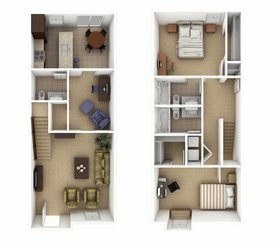 Whether you are looking to rent a 2, 3, or 4-bedroom townhome or lease by the bedroom, you will find we offer the best in student apartment living! Among our wonderful amenities are a pool, ample outdoor space, a volleyball court, a basketball court, full-sized washer and dryers in every home; shuttle to and from campus and 24 hour security and an on-site management! All of our units come with a patio or a deck, and a flat screen TV in the living room. 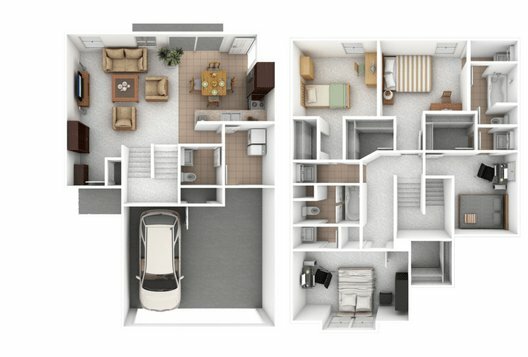 Three and four bedroom units also include a two car garage! 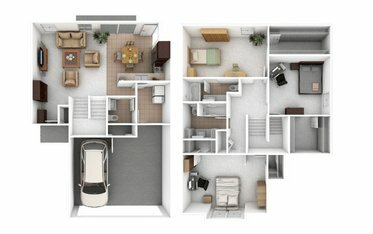 What sets us apart from other communities are our affordable rents, open floor plans and spacious townhomes! At The Falls, everything except electricity is included in your rent price! Your water, sewer, trash, Internet and cable is all included in your rent price! It doesn't stop there! We are pet friendly! Tenants are also welcome to stop by the office, grab some coffee or a snack before heading off to school on the shuttle! We believe at The Falls that you should have all the luxury, partnered with the best in customer service! The Falls is located and 3.90 miles from University of Missouri-Columbia. The property has a Walkscore of 8, so you will probably be driving or taking public transportation most of the time. The Falls has many shops nearby. Coffee shops in the area include Panera Bread, The Upper Crust, B&B Bagel Company. There are a number of markets in the area include Walmart Supercenter, World Harvest International & Gourmet Foods, Clovers Natural Market.